As a restoratively driven surgical procedure the dentist must eventually restore his or her implants, therefore it is imperative that they understand the restorative process. This course will delve into the procedures necessary for optimal lab communication. This is part 8 of a comprehensive series of courses on implants by Dr. Schleshinger that will be released every couple of months on Dentaltown. Dr. Charles Schlesinger, DDS, FICOI is a dental implant educator and clinician who has been lecturing internationally for the past 10 years. He graduated with honors from The Ohio State College of Dentistry in 1996. 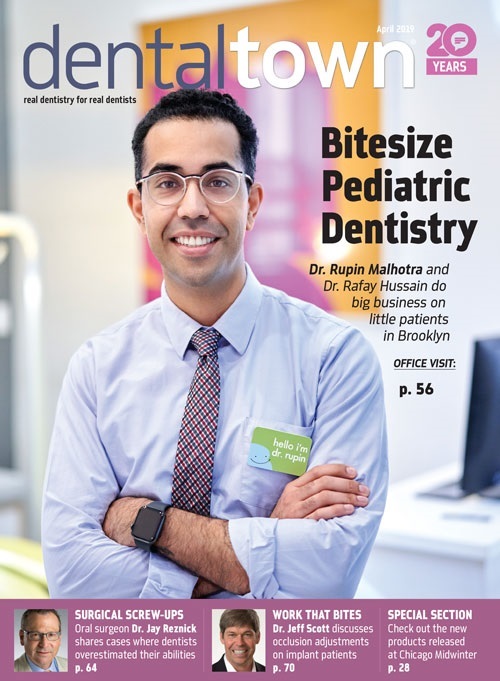 After graduation, he completed a General Practice residency at the VAMC San Diego and then went on to become the Chief Resident at the VAMC W. Los Angeles. During his time in Los Angeles, he completed extensive training in oral surgery, implantology and advanced restorative treatment. Once he completed his residency, Dr. Schlesinger maintained a thriving restorative and implant practice in San Diego, CA for 14 years. In 2012 he relocated to Albuquerque, NM to become the Director of Education and Clinical Affairs for OCO Biomedical. In 2013 he took over as Chief Operating Officer of OCO Biomedical along with his clinical responsibilities. In 2016 Dr. Schlesinger left OCO Biomedical and founded The CD Schlesinger Group, LLC to help practitioners gain knowledge and experience with implants and became a Key Opinion Leader for The Hahn Implant System. Additionally, he continues to provide comprehensive implant care to patients in a private practice setting in Albuquerque, New Mexico.